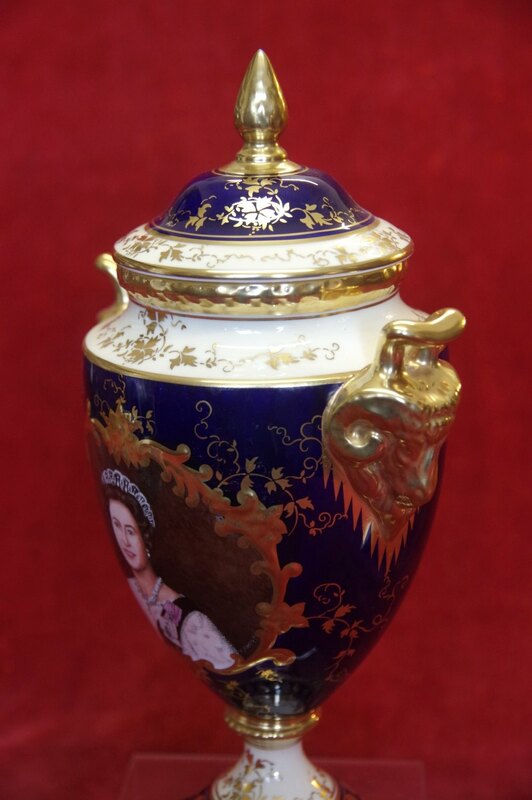 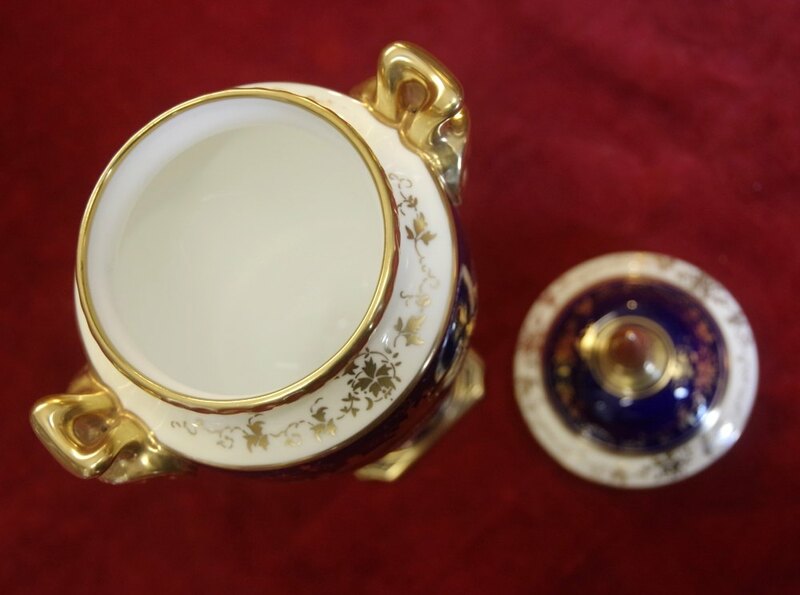 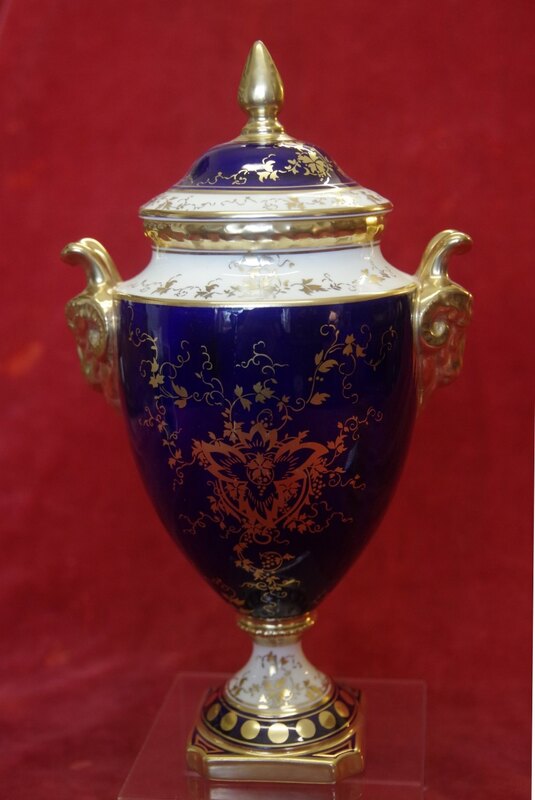 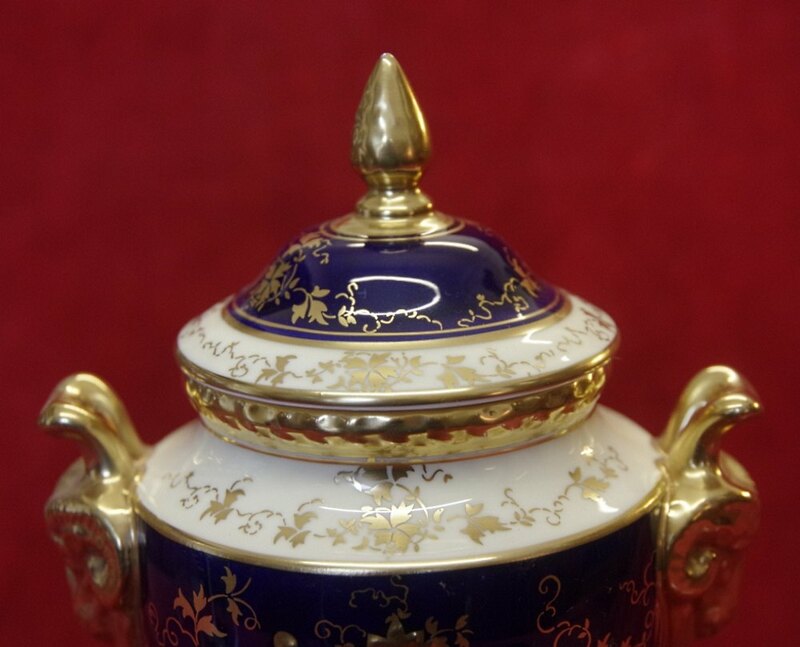 Coalport prototype vase and cover. 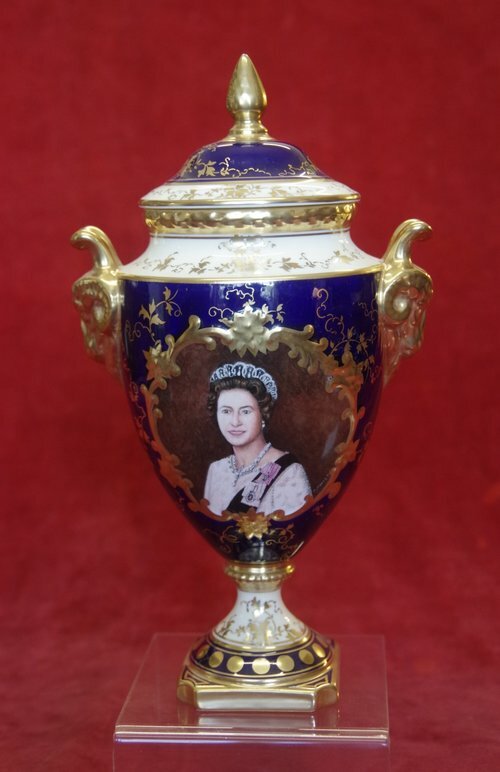 The reverse is painted with a bust portrait of Queen Elizabeth II, by Malcolm Harnett. 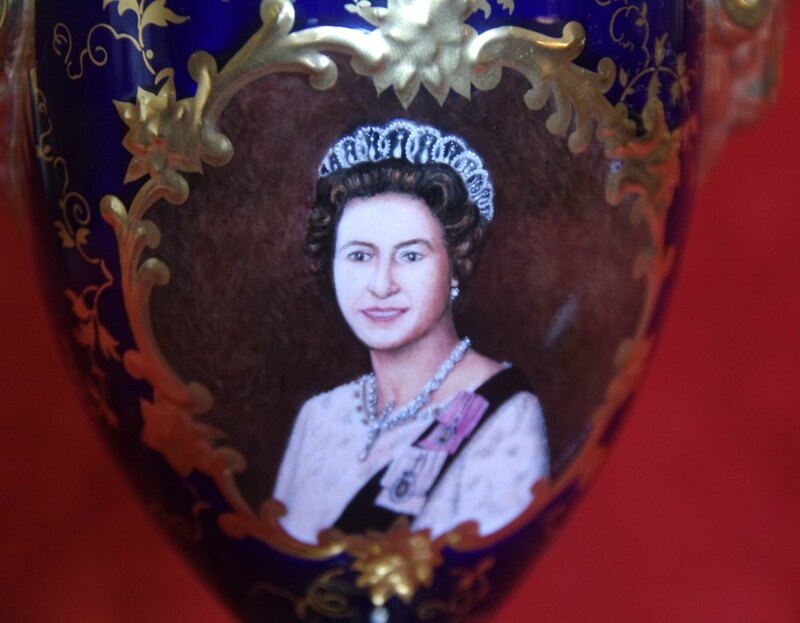 Image of queen looks c1977 Jubilee.